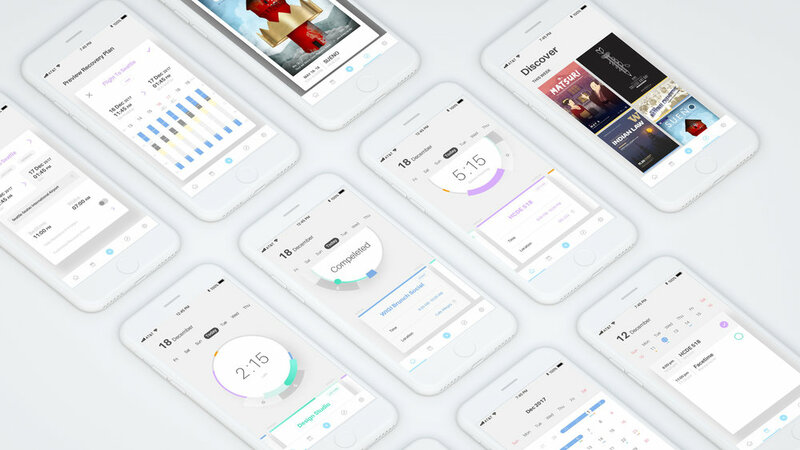 BePresent: A time management app designed for international students. Starting a new phase of life in a foreign country can be very terrifying. For many new international students, It is a big challenge to manage their academic tasks while also build social connections in an unfamiliar campus. Not to mention how much stress would Jet Lag add on top of these. What if international student were able to quickly adapt to the new environment with the minimum effort of fighting jet lag? 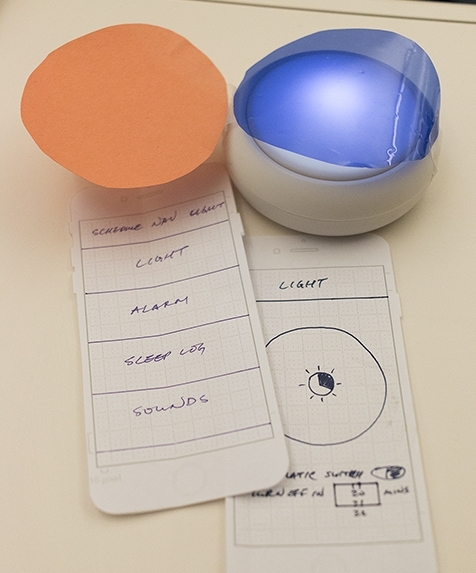 A mobile product that is tailored to international students to minimize the influence of jet lag and improve their academic and personal life performance. The recovery plan is created based on students' personal preference, so it is easier to follow. It is also used as the guideline to better manage daily tasks. The Today feature shows the daily events with real-time visualization. Students can organize their day based on the seek-light & avoid-light guidelines. The Discover screen is synced with campus event calendar to show students extra seek-light options and have they stay connected with friends. This project was started as a team project in the User-centered Design course, and after the end of the quarter, I spent 3 days to iterate and refine the final solution. 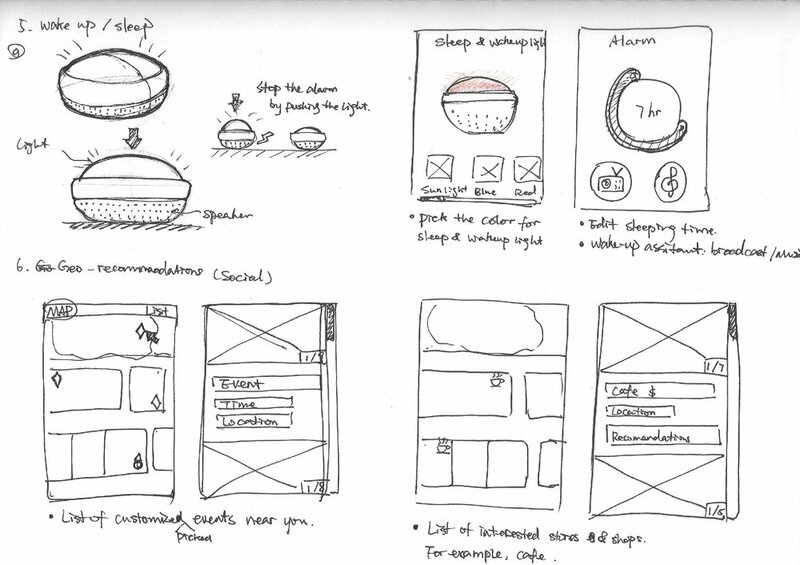 Through the 8-week design process, I led the team through a complete design circle from early research to prototyping and usability testing. 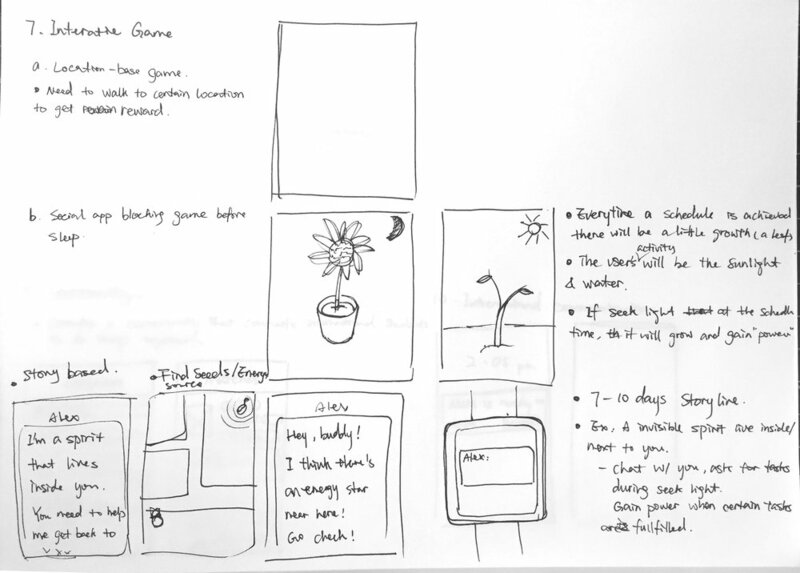 I interviewed users and proposed the behavioral personas. 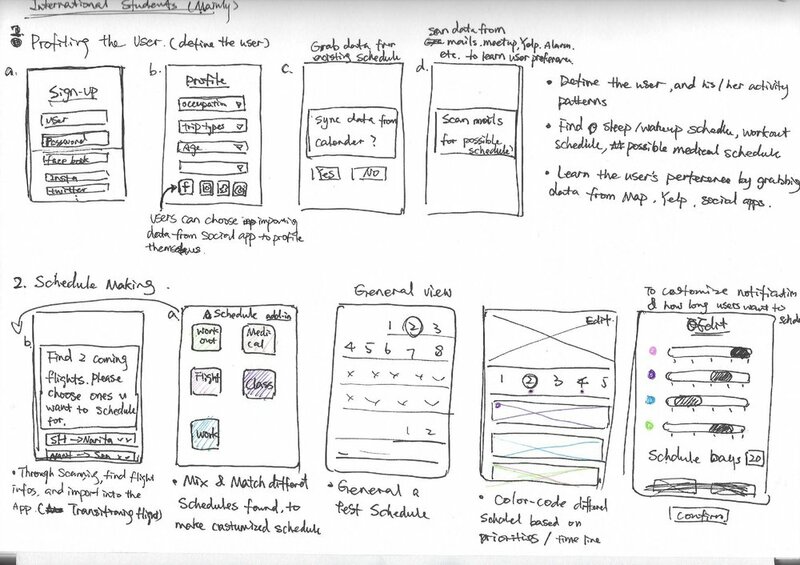 During the ideation and prototyping phases, I was responsible for creating sketches, paper prototypes and user-flow illustration to showcase the ideas. After the final process report, I did a 3-day challenge on my own. Based on the data from usability testings, I created an interactive high-fidelity prototype. As a team of international students & business travelers, we decided to connect our personal experience with the assigned topic 'Mental Focus'. We wanted to develop a tool that helps international students reduce the influence of jet lag to fully focus on their academic performance and personal life. How to Accommodate Different Lifestyles & Personal Preferences? Experiences with jet lag were wide and varied, from people not having a problem with jet lag to taking over a week to recover from jet lag. 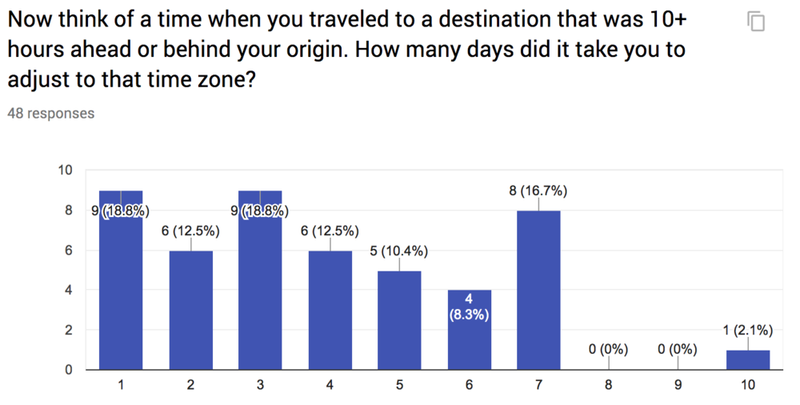 They were unique for each trip, and 41.8% of participants could not always predict their experiences with jet lag when traveling. Do our users know any existing products? What features are they looking for ? 69.4% of participants do not adjust their sleep schedule before traveling. 69.1% of participants do not have a routine to deal with jet lag. So what are some patterns our users share? Tiredness: Need to multi-task(personal & academic) while fighting jet lag. Stress: 1) Feel anxious to blend in the new environment; 2) Worried about academic performance. And how do they feel about existing products? 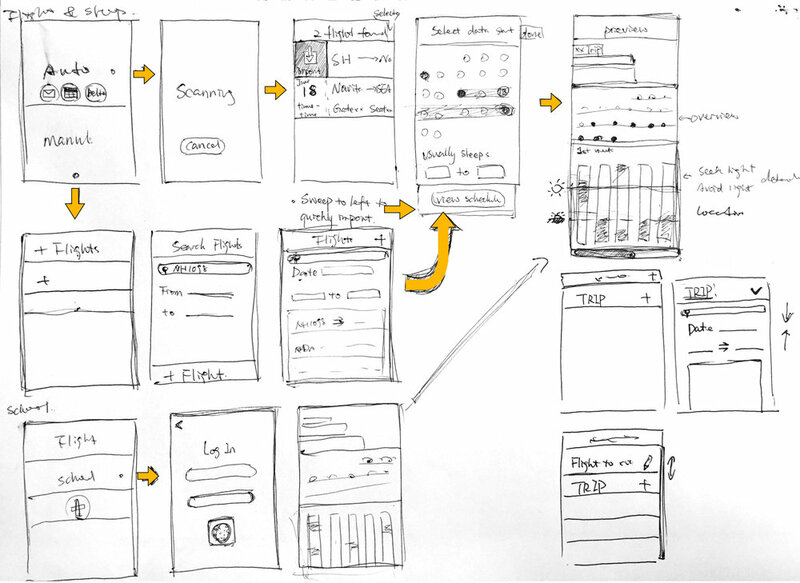 Customizability & Flexibility: How well does the product adjust to users existing schedules? On-the-go: Can users get access to all the features whenever they need them? Social Network: This was commonly mentioned as the most effective way to keep them feel active and energized. 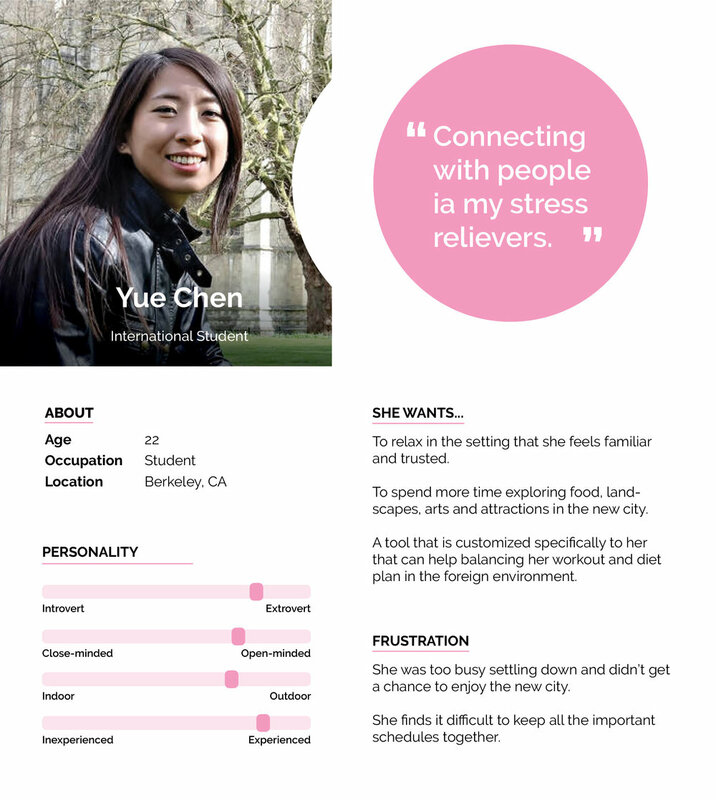 Rather than traditional ones, we built 2 international student personas with highlights on personality differences. From interviews, we observed that there are diverse lifestyles among international students due to personal preference. Therefore, we established 4 main criteria that can lead users to behave differently: Introvert/Extrovert, Close-minded/Open-minded, Indoor/Outdoor, Inexperienced/Experienced. We brainstormed using affinity diagram and developed 24 initial concepts including both digital and physical products. 1. Explore nearby events is too much to afford for daily schedule and distract users from focusing on campus life. "I am already using the Yelp for this, I actually want to get connected with peers and campus events." 2. The physical light is seldom required by participants and may not fit in their residential environment. "I live in the dorm, so I wouldn't use anything that might disturb my roommate." During the usability testing, I asked users to rate these ideas in the following 8 categories and calculated the total score for better decision-making. Triangulated the data, I decided to only move forward with the Scheduler and Discover features since users found them to be more useful and also easier to be implemented. I also highlighted pros & cons of each feature and iterated base on it. Understanding what international students are actually looking for? "I am just trying to make it easier to manage my study plans and personal life." One of the feature I refined is the task flow of Discover-Events. Before, although users were interested in finding personalized social events, it was hard to find the right event to fit in their schedule due to the repetitive steps and lack of early-on information. 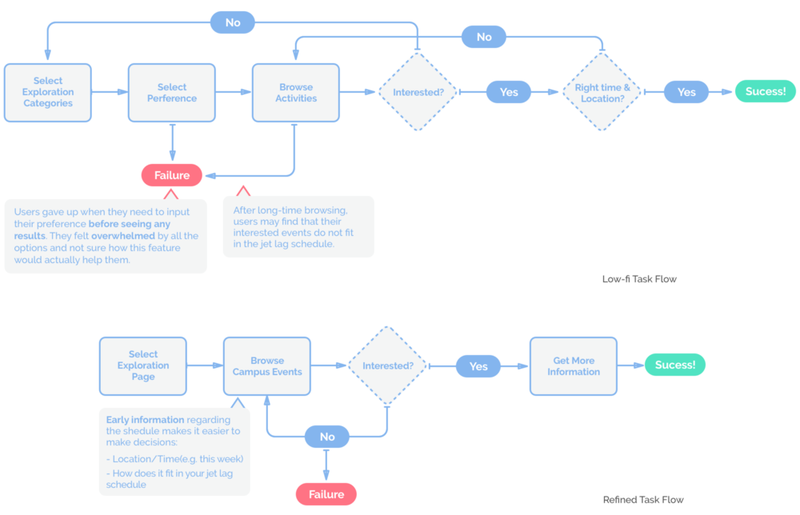 Based on the feedback and observation from usability tests and user scenarios, I simplified the task flow and included only campus events to help users make decisions and also decreases the cost for future development. 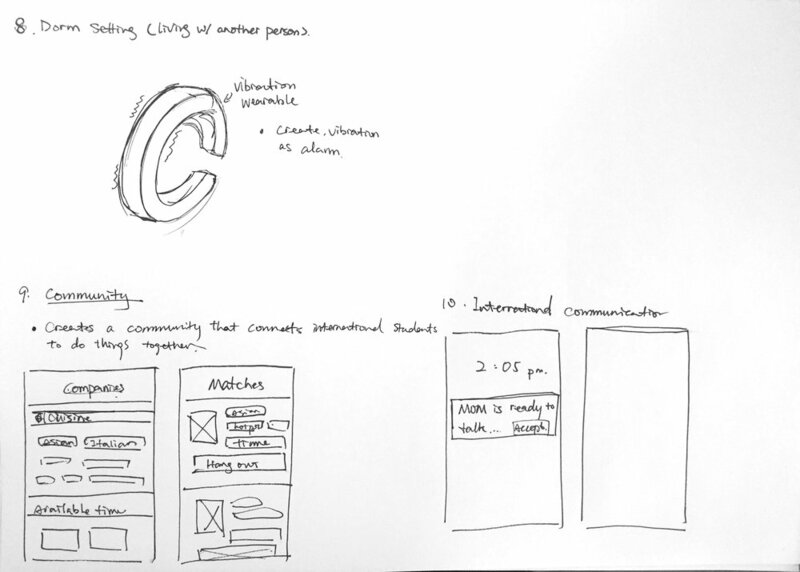 Based on feedbacks from the user testings, I decided to develop the concepts tailored closely to campus living. The mobile app would help students understand and feel confident about their new daily schedule and also encourage them to stay active during seek-light hours by introducing diverse campus activities. Scheduler | Creates customized recovering plan by balancing sleep, trip, school and workout schedules. Academic Task Management | Collaborates w/ recovery plan to help students plan their courses. Campus Event Discovery | Generates seek-light activity recommendations based on the user's preference. The Jet-lag Schedule Planning is the unique feature that set it apart from other task management application. Users are not going to be struggling to stay awake during the day to adjust to the new time zone. They are able to ease into their desired lifestyles by following a healthier and more comfortable guidance. Every international student has different academic and social patterns. Therefore, besides the Lecture tag, users can also add their personal events with different input wizards. And they are colorful! Combining the benefits of both the physical event wall and the digital campus calendar, students now can simply access campus events by viewing the discovery poster wall. Each event is marked with a color bar that indicates how it fits in the student's recovery plan(yellow=seek-light period, blue=avoid-light period) to help users make better decisions.